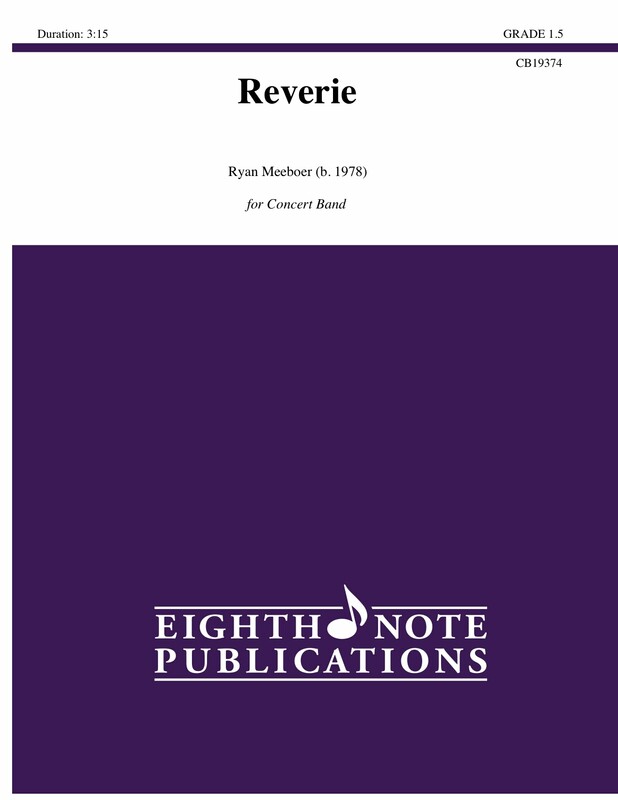 Reverie is a lyrical piece reflecting someone in a dream-like state. It is a peaceful song using repetitive melodic figures, lush harmonies and simple rhythms. The alto saxophone gets a brief solo but the remainder of the piece is the full band playing the lush harmonies in various groupings. This is an excellent contrasting piece on a program or contest.